Real estate has long been one of the main forms of investment, providing solid property ownership in the face of the potential fluctuations of stocks and shares. It is essentially a safe longer-term investment, and as such very well suited to people who are not financial experts. But those that wish to speculate more markedly on upturns in the market will have to be experienced, savvy investors who know when to enter the market and when to leave it. As with all things, investing in real estate can be highly lucrative if you how to time entry and exit, and this requires a good degree of market knowledge, which will provide clear signs of a phase with great growth potential and the period between bubble and downward cycles, when it is best to refrain from further investment. Our team has a wealth of over 25 years’ experience in the Marbella real estate market and will be able to advise both homebuyers looking for a solid long-term investment, and investors keen to maximise their returns in the medium term. 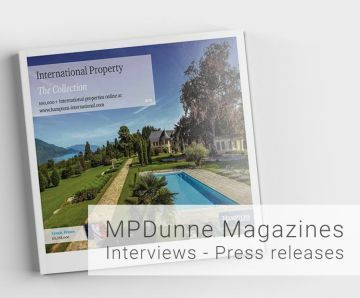 We also use our detailed knowledge of the local real estate landscape to assist investors and developers in finding suitable projects, commercial real estate and development land, so please feel free to contact the MP Dunne-Hamptons International office on the Golden Mile in Marbella for your investment needs.